Charlie Weisman said Oficio, a shared workspace, organizes social events for members. For a mobile workforce, there’s nothing wrong with a workstation at your local coffee shop, said entrepreneur Charlie Weisman. He himself logged countless hours using cafes as free office space. 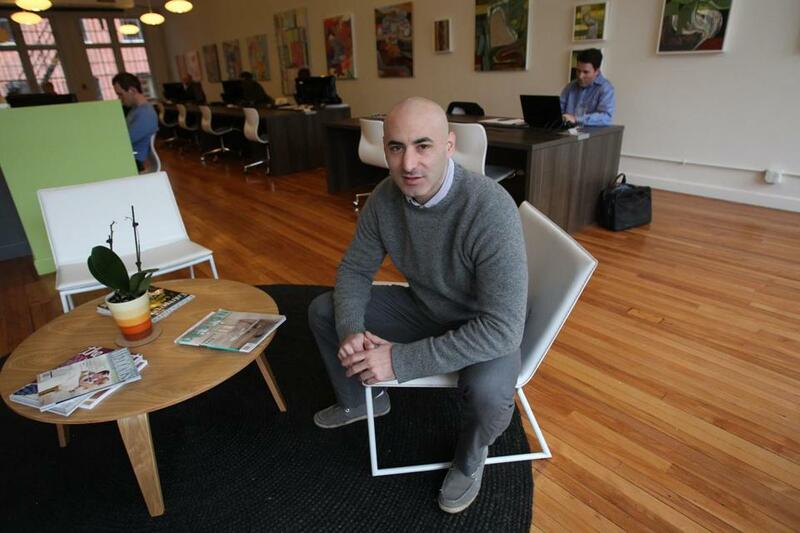 Weisman, 36, recently opened Oficio, a shared workspace that offers a “home office away from home’’ and a swanky address (Newbury Street) to put on business cards. Oficio focuses on the standard accoutrements of office life, including conference rooms, fax machines, and printers. The charges: $25 for a day pass, $60 to rent a conference room, and $299 a month for a full-time membership, which gives unlimited access to the space. Why are more workers working outside the usual office setting? Most freelancers today can run a business with a laptop, cellphone, and a Wi-Fi connection. Renting a traditional private office is just not feasible for businesses just starting out, especially in the Back Bay. There are several shared office spaces in Boston and Cambridge. How is yours different? The goal was to create a modern and minimalist design that would take advantage of great natural light and open space. We wanted to stand out in terms of design, from leather lounge chairs, laptop counters, and private phone booths to rotating work from local artists on our walls. I was really looking for a space I’d want to work out of myself. What went into the planning of Oficio that people may not think of? I think people may not realize the daily battles that are involved. Everything that seems insignificant now, like the coffee machines or logo design, were major battles. An alternative workspace environment is only beneficial if it’s managed the right way. How do you track the program? Choosing membership software was one of our most difficult tasks. We ended up going with gym membership software, which is well established and gives us the necessary tools to schedule private meeting rooms, evaluate numbers, and manage the memberships. What sort of requests have you received? We’ve had a lot of different requests for private rooms, from psychics to plastic surgeons, but most of it is typical company operations. What was the motivation behind offering events, such as networking, happy hours, and after-work excursions? When so many people work alone, the social aspect is important. It’s great to see a community develop. How do you deal with gum under the desks? We have little trash bins at each desk to avoid this, and so far it’s worked.